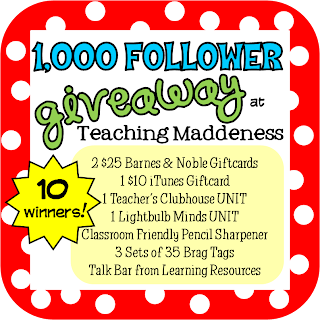 Only TWO DAYS left of new prizes in my 1,000 Follower Giveaway Extravaganza!! 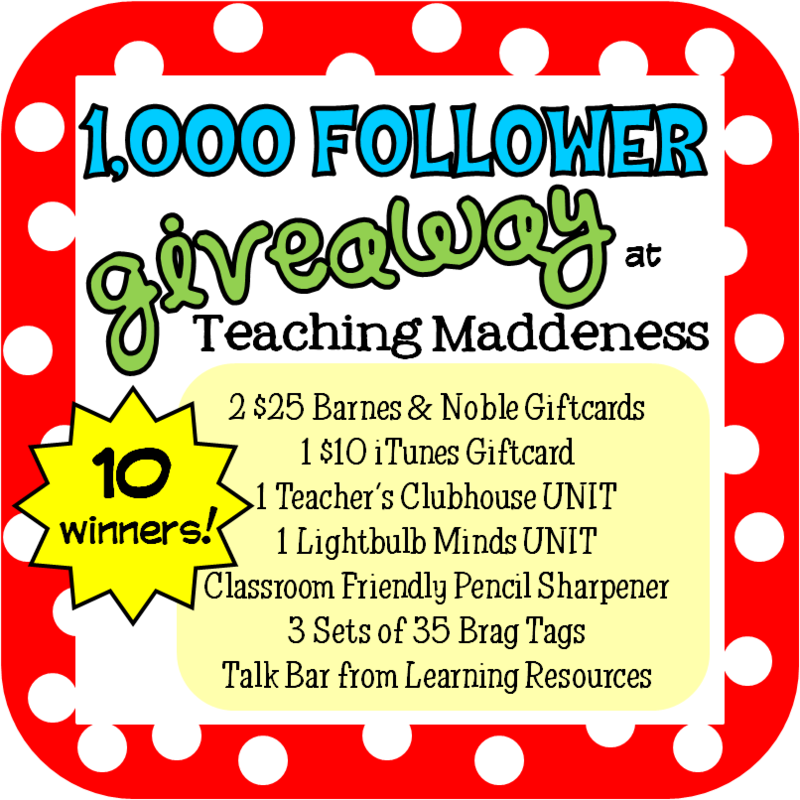 Today's prize isn't even listed above, but how in the world could I give away my favorite teaching resources without my one "must-have-can't-live-without-need-more-than-one-of-them" FAVORITE resource - A PERSONAL LAMINATOR! It's compact, easy to transport and super easy to use! It comes with a variety of pouches to get you started on any projects. Just plug in, set to hot or cold, flip the switch to on and wait for the ready light to flash! It warms up in just minutes! WAIT! Was that a hot or cold switch? That's right! This laminator has the ability to laminate COLD for those items that are too fragile for heat. Think vintage photographs, pressed flowers, etc! How COOL is that? 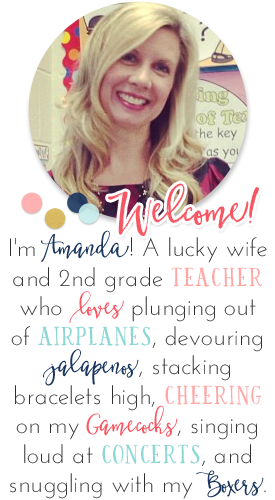 My all-time favorite feature is that the lamination is so much thicker and sturdier than those large laminators we have at school! 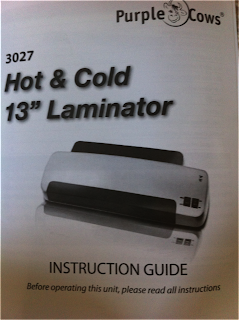 So, there you have it - the BEST EVER invention for teachers..the personal laminator. Enter below to win your very own Purple Cow Personal Laminator!!! 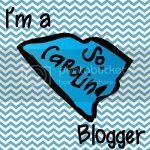 You must be the most giving blogger I have ever seen! What an awesome giveaway you have! This is on my Christmas wish list - maybe Santa will make my wish come true a bit early! :) Thanks for the opportunity - and for your awesome blog! This would be great to use in first and second grade. WOW!! These are some great prizes!! I hope I am the luck winner! I am excited about the Purple Cow. I would love this laminator. Thanks for the awesome chances to win your prizes. Wow!! What an incredible gift for whomever wins :) Thanks so much for your generosity!